Tarek M. El-gohary, Osama A. Khaled, Samiha M. Abdelkader. 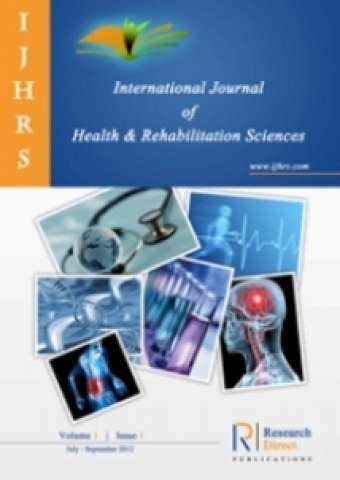 The main objective of the study was to compare the biomedical and bio -psychosocial models of delivery of health care in the physical therapy and rehabilitation fields. An expert in the field with over 25 years of experience in multiple academic institutions and clinical practices was invited to have a through professional discussion using real life didactic educational model. The expert has engaged in full discussion with students, clinicians, staff members and other professionals to understand their perspectives regarding the practical application of the benefits obtained from adopting either the biomedical or the bio-psychosocial model of care delivery. A real complex case scenario was fully described to communicate the benefits and drawbacks derived from adopting certain model of care delivery. About 84% of participants indicated that they are lacking adequate understanding of the philosophy behind either model of health care delivery especially with complex rehabilitation conditions. In conclusion, the bio-psychosocial model of delivery of health care is more comprehensive and viable for addressing the multidimensional aspects of the needs of complex physical therapy and rehabilitation conditions.